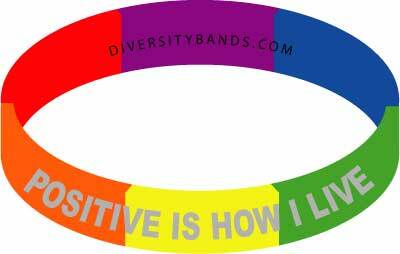 Rainbow Band with "POSITIVE IS HOW I LIVE" tm. Rainbow Band with "POSITIVE IS HOW I LIVE" tm. Sold with permission by Senator Terrence "Positive" Nelson.